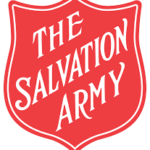 The Salvation Army and Wal-Mart have teamed up again to send your child back to school prepared for the year ahead. Each Child will receive a gift car to Wal-Mart to purchase a new outfit. This event is open to children between the ages of 5 and 12 years old who attend a Flagstaff Public School or Tuba City School.